Henna sealers are used to keep the henna paste moist and stuck to your skin longer, thus creating a darker longer lasting henna stain. If your henna paste is sticking well on it’s own, a sealer is not necessary. Sealers are applied after the henna is dry but before the henna is cracking and falling off. Sealers can be sprayed on or dabbed on with a cotton ball. Multiple thin layers are better than one thick layer. There are a number of different methods you can use for sealing your henna. This is my favorite! It doesn’t really matter what ratio you use, just mix some sugar into some lemon juice until it’s completely combined. A ratio of 1:1, 1:2, 1:3, or 1:4 of sugar to lemon juice will all work fine. You can even use water instead of lemon juice. Add a dash of rose water for scent! This is great for large scale designs and for outside use. It’s fantastic to protect henna stains when you swim. It is, however, NOT natural and should be use in a well-ventilated area. This is acceptable in a pinch and works fairly well. Depending on the brand, hair spray cans stay quite sticky and be a bit annoying. This works great, but is a bit of a pain to use. Carefully dab it on the paste and wait for it to dry. It will take a long while to dry. After sealing, you have the option of wrapping the henna to protect it and keep the area warm. First seal the design completely. Consider sealing multiple times while letting the sealer dry in between layers. Once the sealer is applied, there are a number of different options for wrapping a henna design. This is old school! The key to using plastic wrap is to first wrap the henna design firmly with tissue paper. If you don’t put enough tissue paper between the skin and the plastic wrap, you will sweat and the henna design will run. An Ace Bandage will is not self sealing, but it is reusable and comfortable. The self adhesive style bandage is the same stuff they use to wrap your arm after you give blood. It seals to itself without any adhesive on the skin. These both should be wrapped firmly, but not tightly. Both work best on a design that has been sealed first, though you don’t have to seal the henna, especially if you mix a good-sticking henna. 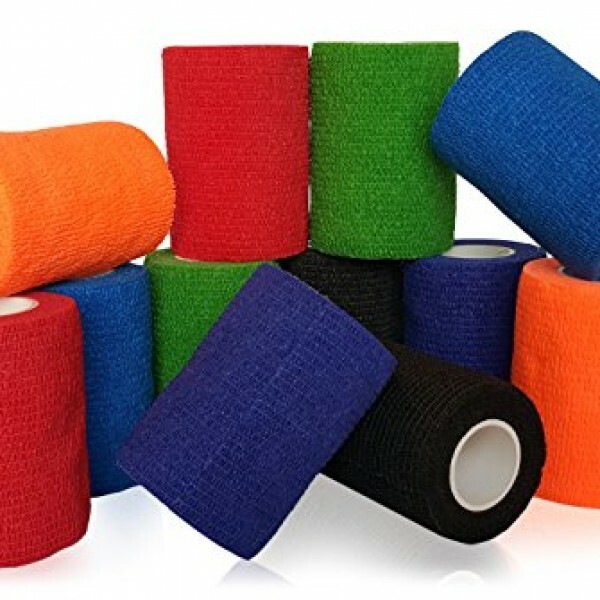 A non-self-adhesive bandage can be combined with a tissue paper layer between the skin and the bandage, though it’s not necessary. The self adhesive bandage seems to work best without tissue. Though pricey, Mefix medical tape does a wonderful job as a sealer/wrap combo. 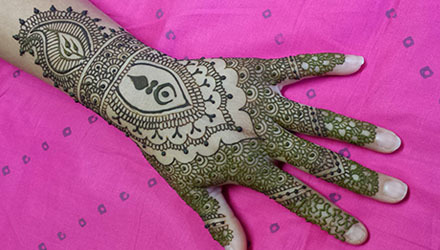 There is no need to seal the henna design first, and it’s super easy to use. It doesn’t have to wrap around anything and can easily stick to any part of the body. this is great for backs, shoulders, chests, and bellies which are not easy to wrap. Mefix does have actual adhesive that touches the skin, and that can be irritating for some people. Pregnant bellies are particularly susceptible to being irritated by adhesive.